Alaska Airlines provides four daily flights to and from Seattle-Tacoma International Airport (Sea-Tac) onboard the 76 seat Bombardier Q400 high-speed turboprop. Upon arriving at Seattle-Tacoma International Airport, Alaska Airlines provides over 115 destinations to include Hawaii, Alaska, and Mexico. To find the best travel offers, check the Alaska Deals website for special promotions out of the Yakima Air Terminal-McAllister Field. 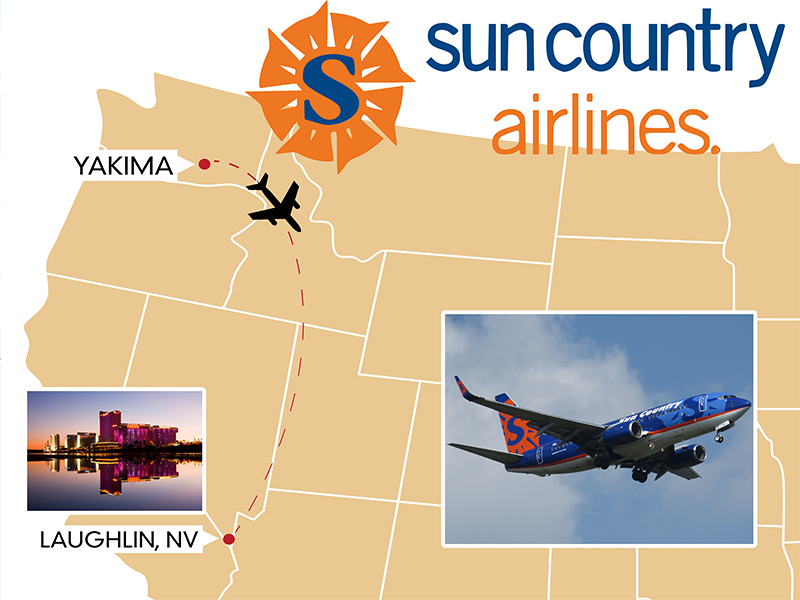 Sun Country Airlines provides charter operations to Laughlin, NV. Swift Airlines provides charter operations to Wendover, Nevada. © Yakima Air Terminal | *Promoted fare rates are not guaranteed and can change based on dates and availability. Some additional restrictions may apply.